Last month, the Food and Drug Administration announced its approval of a new medication for treatment-resistant depression. 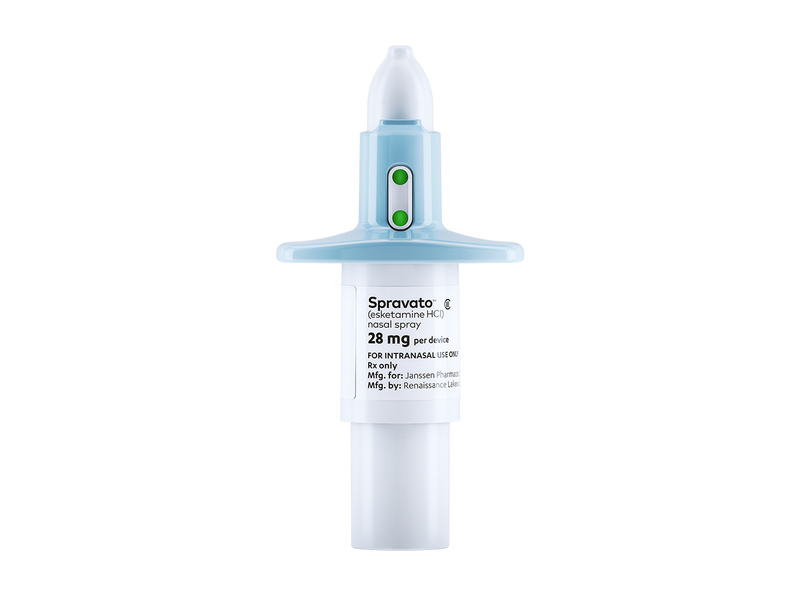 Spravato is the first new depression medication to enter the market in over 30 years. The fast-acting nasal spray is used in conjunction with an oral antidepressant and will benefit patients who have not found relief after trying at least two other medicines. Unlike traditional depression medications that can take weeks to have any effect, patients using Spravato can notice results almost immediately. “My concern is with that rapid effect, addiction may be an issue,” says Joel Dario, a psychiatric mental health nurse practitioner at Salt Lake Community College’s Center for Health and Counseling. Spravato, known chemically as esketamine, is derived from a potent hallucinogen and party drug called ketamine. Similarly, Spravato can also cause sedation and out-of-body experiences in high doses. It is because of the potential for misuse that the FDA has placed tight restrictions on its distribution. Patients will only be able to use the spray under the supervision of a health care provider and must be monitored for at least two hours after each use. Additionally, the drug will only be available at certified treatment centers. It is unlikely that SLCC students will be able to access Spravato without a referral anytime soon. “Students seeking and actually assessed as needing a medication like esketamine may be outside of the scope of the SLCC Student Wellness Center,” Dario says. Depending on the dosage, Spravato will cost between $590 and $885 for each use, according to NPR. That means without insurance, patients could spend thousands of dollars over the course of just a few treatments. For SLCC student and graphic design major Madison Kyle, this is not a realistic price range at this point in her life. “Whether it were to benefit me or not, I definitely couldn’t afford it,” she says. According to a KSL news report, the FDA determined that 7.4 million American adults suffer from treatment-resistant depression, which increases risk of suicide, hospitalization and other serious harm. It has the potential to be lifesaving in many situations, and at the very least decreases the amount of time it takes to determine whether a drug works for you, Kyle says. “We need to move forward mindfully, especially taking into account the opioid crisis we are facing as a nation and even more so in our state,” she says.